Shopping cart abandonment has become a serious problem for online shop owners with average shopping cart abandonment rate as high as 70%. Thus our Abandoned Cart Lite for WooCommerce plugin provides a free solution to resolve this problem by recovering lost carts from your WooCommerce store. This free plugin can be valuable for any online WooCommerce store. So let us understand its installation process to get started with a solution to all your cart abandonment issues. 2. Search Abandoned Cart Lite for WooCommerce plugin using search option. 4. After installation, click on Activate Plugin link to activate the plugin. 5. 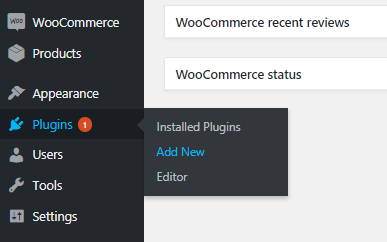 Locate the Abandoned Cart Lite for WooCommerce plugin and click on Activate link to activate the plugin. To refer to this plugin on WordPress.org, Click here. Abandoned Cart Lite for WooCommerce plugin will prove to be a boon to all your shopping cart abandonment issues. So why wait? Go grab it today!